The “Rockin’ Pneumonia” Cat Fight Podcast! “Juke In The Back” Adds Radio Affiliates! Washington, DC – Matt The Cat, host of the weekly classic rhythm & blues music program, “Juke In The Back” is pleased to announce the addition of 3 new radio affiliates. Beginning this week, “Juke In The Back” begins airing on WTMD 89.7 FM in Baltimore, MD. The show will air on Fridays from 10-11pm. More information is available at WTMD.org. Baltimore is by far the largest market that “Juke” has aired on in its 10 month history. Matt The Cat says, “WTMD is known in the Baltimore/DC community for its fantastic, eclectic and independent programming and I’m so happy that ‘Juke In The Back’ is now apart of that great tradition.” WTMD will be running 2 “Juke” shows back to back on Friday Nights. The 10:00 hour will feature the latest episode, while the 11:00 hour will feature a replay of a previous “Juke In The Back” episode. Beginning on Sunday, January 23, 2011, “Juke In The Back” will also be heard on KZUM 89.3 FM in Lincoln, NE. The show will air from 9-10 PM and join KZUM’s eclectic programming which ranges from jazz to blues to funk and hip-hop. More information on KZUM can be found at KZUM.org. “Juke In The Back” hits the New Haven, CT area on Tuesday Mornings at 10 AM on 88.7 FM WNHU starting today. WNHU is well known throughout the community as a diverse music radio destination. More info at WNHU.org. Along with these three new radio affiliates, you can also catch “Juke In The Back” on 11 other radio stations, nationally. The show was first aired on KZGM in Cabool, MO in late April of 2010 and has grown quickly, adding new affiliates every month. “Juke” is available to both public and commercial radio stations. Matt The Cat produces two versions of the show weekly from his studio in Washington, DC. 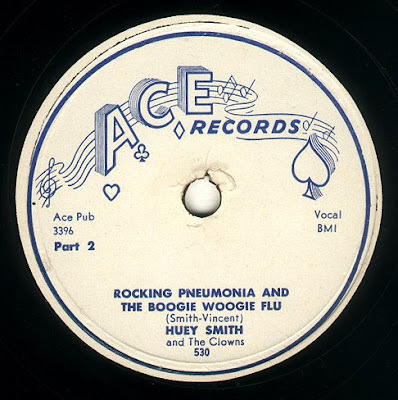 “Juke” highlights the Rhythm & Blues records that came out just after World War II that helped pave the way for the birth of Rock n’ Roll during the mid-1950s. The records he plays directly influenced a young Elvis Presley (he covered many of the R&B tunes he loved for his early recordings on Sun Records), Buddy Holly, The Beatles, The Rolling Stones, The Who, The Kinks and even today’s superstars, The Black Keys. This music is largely forgotten and ignored, but it vibrates with passion and intensity and was literally the music of a generation. “Juke In The Back” is pure Americana and it’s vital in understanding the musical and social roots of American Music. “Juke In The Back” is looking for underwriters (for its Public Radio Broadcasts) and advertisers (for its commercial radio broadcasts). Anyone interested in getting their message out on “Juke In The Back,” should email Matt The Cat directly. “Juke In The Back” is distributed weekly through FTP, Pacifica Radio’s Audio Port and NPR’s PRX.org. For more information, see JukeInTheBack.org. The “Unchained Melody” Friday Night Cat Fight Podcast! The Friday Night Cat Fight takes on one of the most popular, most covered and best selling songs of all-time with “Unchained Melody.” Originally, it was written for the 1955 motion picture, “Unchained,” but after Les Baxter released an instrumental version of the tune on Capitol and it hit #1, it became one of the biggest songs of 1955, with versions by Al Hibbler and Roy Hamilton topping the R&B charts and charting top 10 on the pop lists. We’ll also feature some very unique and heartfelt renditions of “Unchained Melody” by Gene Vincent and His Blue Caps (1957), New York’s Vito & The Salutations (1963) and the mega-selling 1965 Righteous Brothers classic. 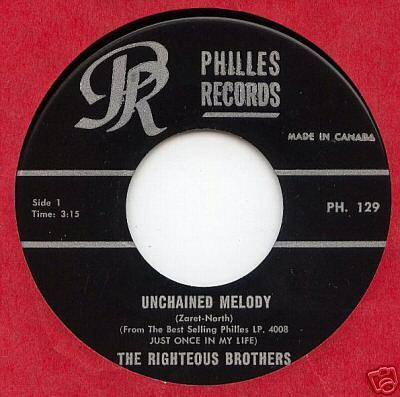 So listen and then vote for your favorite version of “Unchained Melody.” With over 500 covers of this tune, I couldn’t feature them all, but I think all six that are featured here are worth your time.